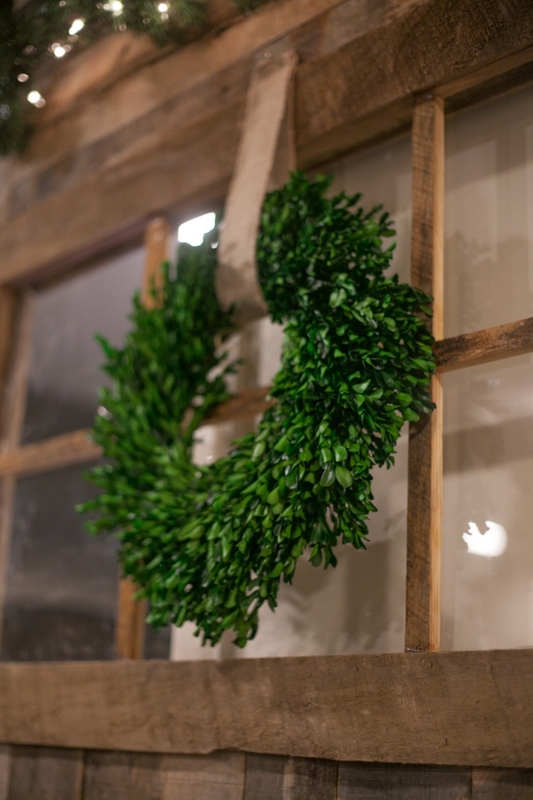 I shared the beginnings of our silver and white Christmas decor on the blog last week, and this week I want to share our barn door decor for Christmas + some other small details of our decor. 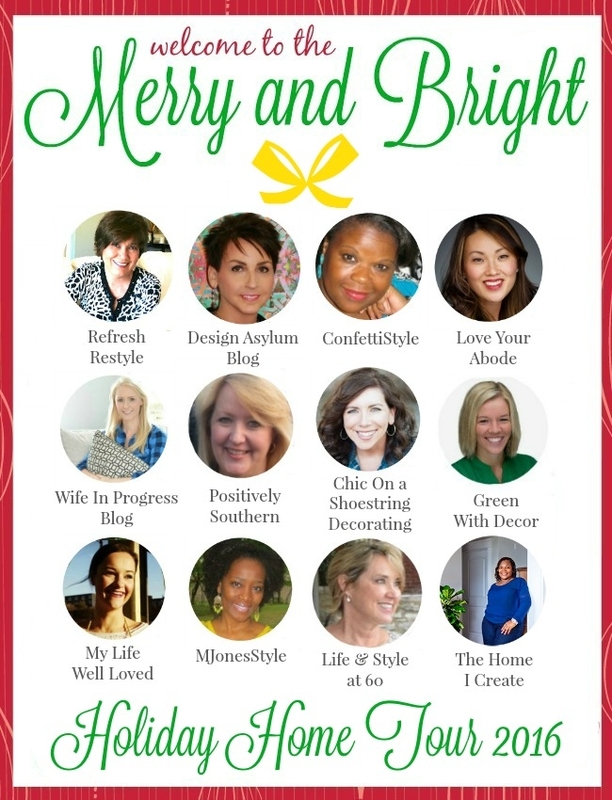 If you are joining me from Life and Style at 60 on our Merry & Bright Blog Tour, welcome and come on in my green door! 🙂 I’m glad to have you here at My Life Well Loved. 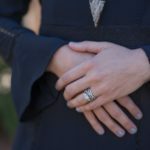 MLWL is a blog about all the things in life worth loving: Healthy lifestyle, mom life, marriage, home & fashion. I’d love to have you visit my ABOUT ME page to meet our little fam which includes my “northern boy” as I called him in college and our 15 month old. My husband had the bright idea to decorate our barn door for Christmas. You may remember reading about our barn door being installed by Cotton Gin Provisions here. I don’t know that I would have thought about it, but it’s such a huge part of our living room right now that it makes a dramatic impact. 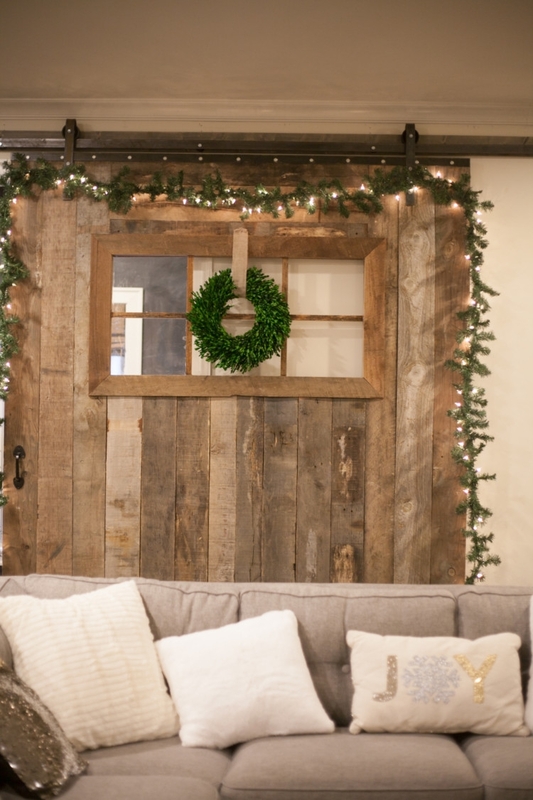 We kept our barn door decor for Christmas simple. We got a boxwood wreath from Silk Plants Direct, looped some of the ribbon I had through it over the window and hung it with a nail. Then, we got pre-lit garland and strung it around the edges. We may add a bow on the wreath or bows at the top of the garland for a variation but this was a nice start. 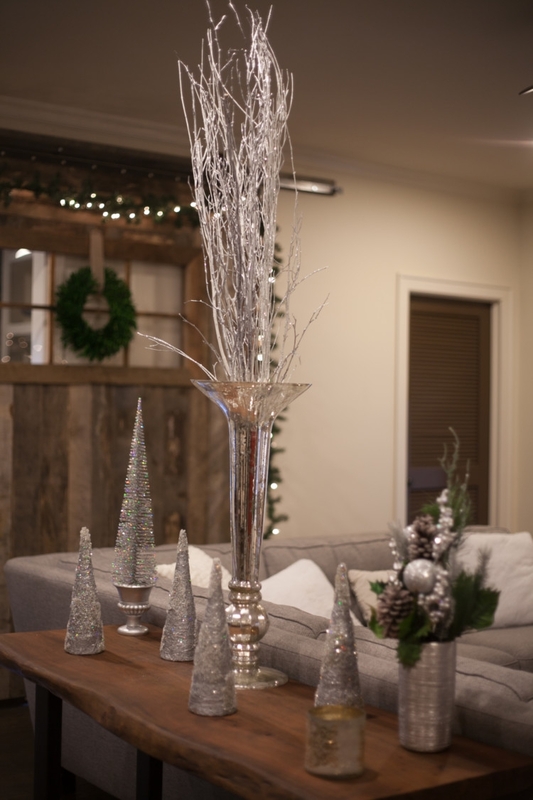 I love how the simple barn door decor compliments our silver, white and sparkly Christmas themed decor in the rest of the living room. 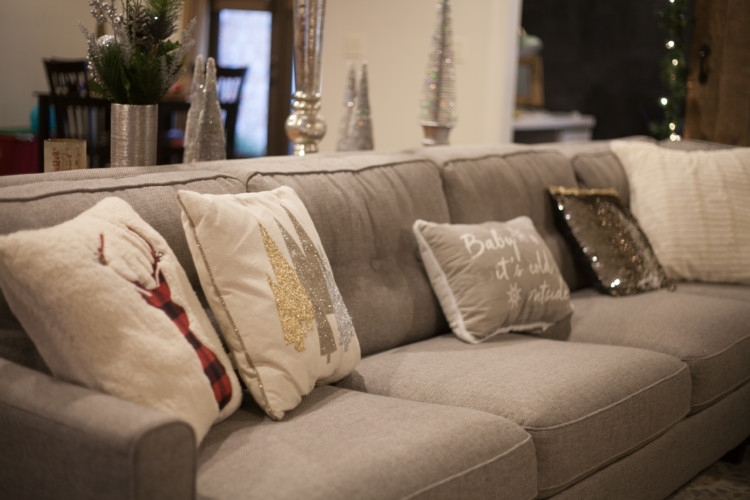 Even the hubs said when we put the pillows on the couch, “It makes it feel a lot more WARM in here.” For him to notice…WOW! That says something. 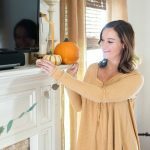 If you want even more Christmas decor inspiration, join my co-hosts from the Merry and Bright Christmas home tour below. But before you head out, make sure you enter to win my Erin Condren giveaway here and my baby and toddler bath set giveaway here! Next up on the home tour? 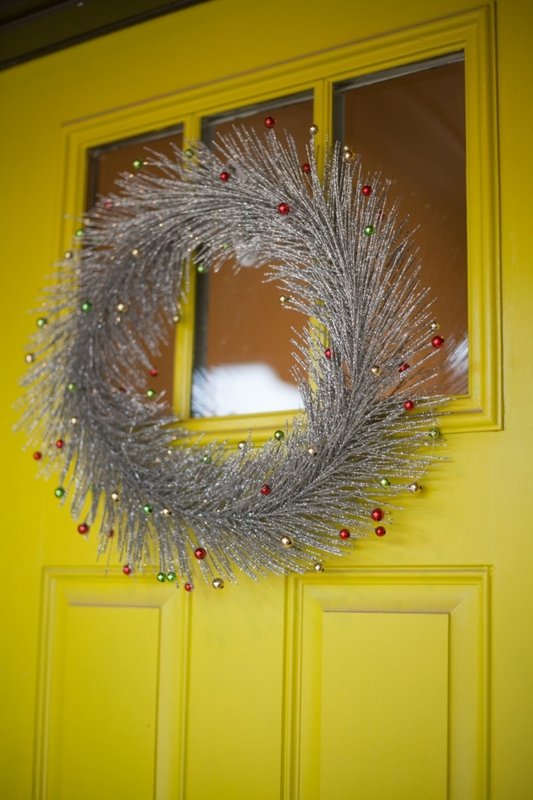 Hop on over to The Home I Create to see her take on Christmas decor. Every home deserves sparkle at Christmas and you’ve done a sensational job doing that! 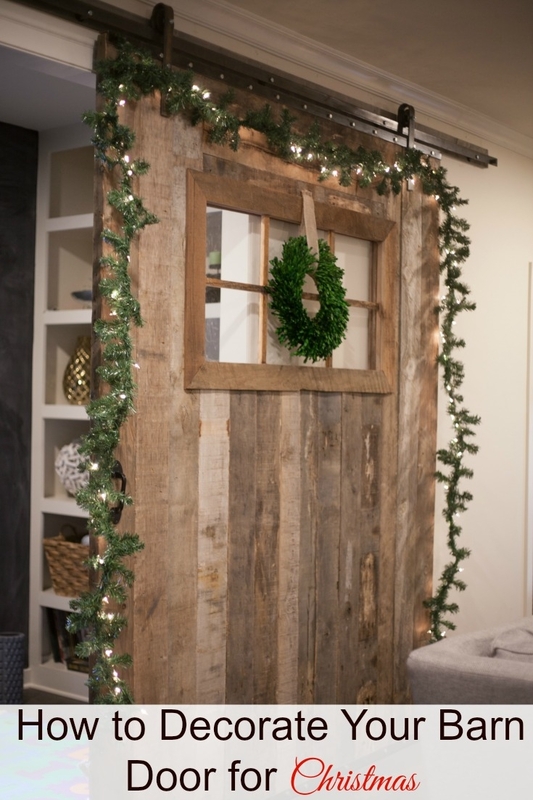 The barn door is a real show stopper!! Heather, now I want a barn door! What a spectacular conversation piece in your lovely home. I adore the silver touches you added to make it festive. Heather, you home is so charming and all your Christmas decor makes it even more special. Cheers to the season. Oh Heather, I can’t get over your stunning photography! You’ve captured your home beautifully! 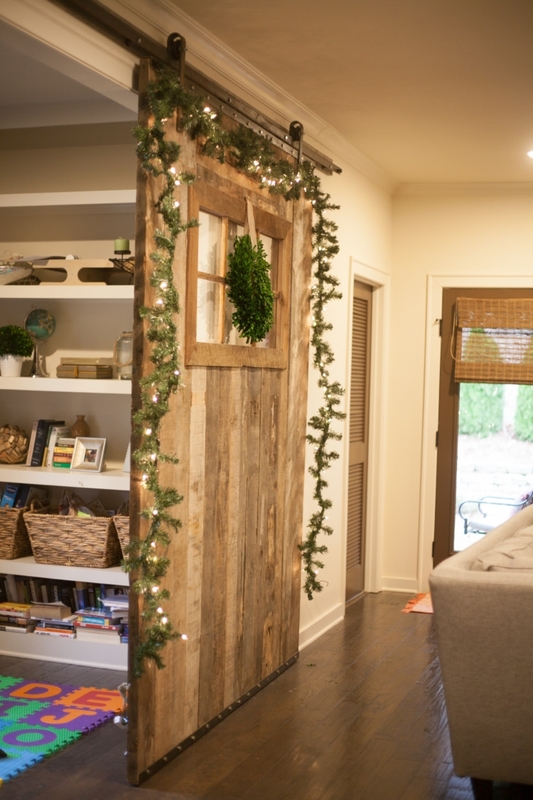 That barn door is indeed a thing of beauty, and the addition of the greenery and lights just takes it over the top! And I will forever and always love that yellow door! What a gorgeous barn door, the boxwood looks perfect with it! 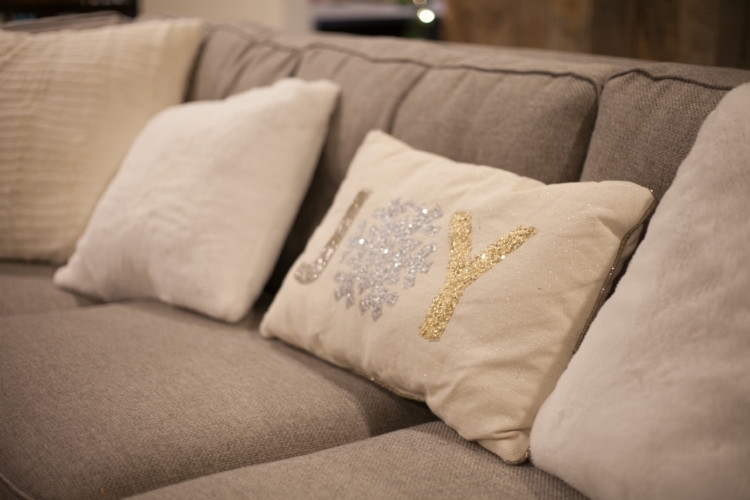 Love all of your festive glam pillows, too!